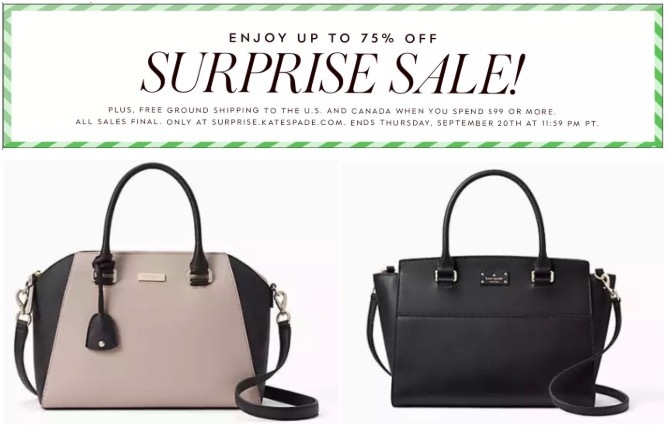 Kate Spade has a great Surprise Sale available now that includes: Save up to 75% off + FREE Shipping to Canada. This sale is valid online only and ends today, September 20, 2018, at 11:59 pm PT. Click here to view Kate Spade offers.